Want to know how to get the celebrity treatment on your trip to Sin City? Our V Card adds more to your nightclub experience and gives you access to all the VIP perks. Get front of the line access and save money at all the hottest bars, lounges, strip clubs, dayclubs, and nightclubs! Why spend an arm and a leg trying to get into all the Vegas hotspots, when the V Card can get you in without all the hassle! Enhance your Vegas experience and get all this and more by purchasing the V Card! This never expiring card is the perfect way to treat yourself or your friends to the VIP Vegas club experience without all those enormous fees. 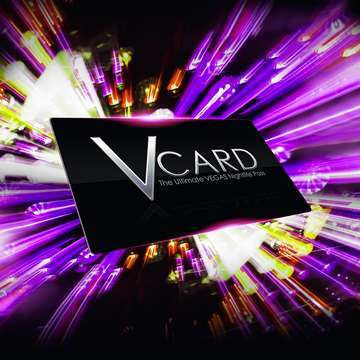 Don't wait and purchase your V Card now!